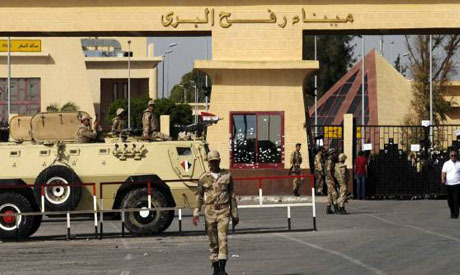 A man was killed and a woman and young girl were injured by gunmen on Tuesday in the North Sinai border town of Rafah, Al-Ahram's Arabic news website reported. Eye witnesses at the scene told Al-Ahram that the man, 50-years-old, was shot by unidentified assailants. The woman and the young girl were also hit during the shooting and transferred soon after to Al-Arish Hospital. It is not clear whether the shooting was a militant attack or a feud between civilians. The Sinai Peninsula, especially the northern border areas near the Gaza Strip, has been the scene of continued Islamic insurgency since the July 2013 ouster of president Mohamed Morsi. Army and police personnel have mostly been targeted, but civilians have also died in the attacks.